Dec. 6 — Duke University School of Law acquired the Electronic Discovery Reference Model late last summer, creating a merger of two organizations that have had a great deal of influence on the practice of eDiscovery. 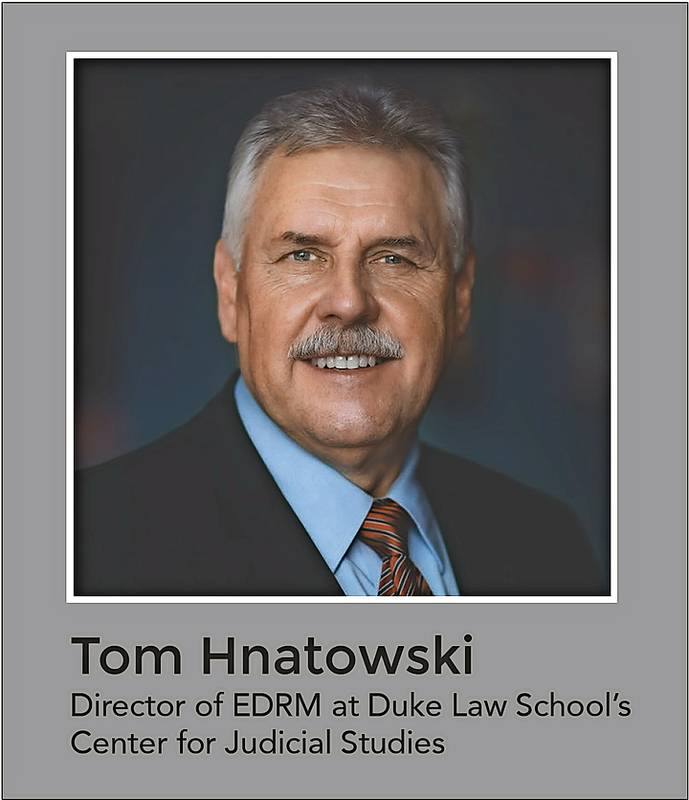 Thomas C. Hnatowski was recently named as the new director of EDRM. He told Bloomberg BNA that his first order of business is facilitating the merger of the two entities. Their first joint project will focus on data analatyics. EDRM is the standards model for information governance and data life cycles for the eDiscovery community. Duke’s Center for Judicial Studies holds conferences that are attended by prominent judges, government officials, academics and senior level attorneys. The attendees discuss emerging or pressing legal issues, with the goal of providing guidance to government policy-makers. Most recently, the Duke Conference promoted the goals of cooperation, early and active case management and proportionality, which are echoed in the latest amendments to the Federal Rules of Civil Procedure. Hnatowski talked with Bloomberg BNA about his prior professional experience as well as some of the goals he has set for EDRM in its new home. Hnatowski worked as a an attorney for the Administrative Office of the United States for 11 years before eventually becoming Chief of the Magistrate Judges Division. He stayed in that position for 21 years. Hnatowski’s unique experience with the Magistrate Judges Division makes him an ideal candidate for his new role. Magistrate judges often get a “first look’ at eDiscovery questions and have shaped the law surrounding many issues related to the use of technology in evidence and in the court. Hnatowski will be following in the footsteps of some well-known eDiscovery leaders. He plans to “play off” EDRM co-founder George Socha and Duke Law Center for Judicial Studies’ director John Rabiej. The good news is Rabiej is someone he’s “known forever,” and Socha will continue his work with EDRM. The workshop’s focus will be on the best methods and means for applying eDiscovery tools to eDiscovery production. Hnatowski hopes members from the two organizations can come to a meeting of the minds on what the right technologies are and whether they’re being used appropriately. The results of the workshop will feed into a Duke Conference in the fall on the same subject. “We want to work together at the workshop to come up with some guidelines, best practices and standards in the area of data analytics,” Hnatowski explained.